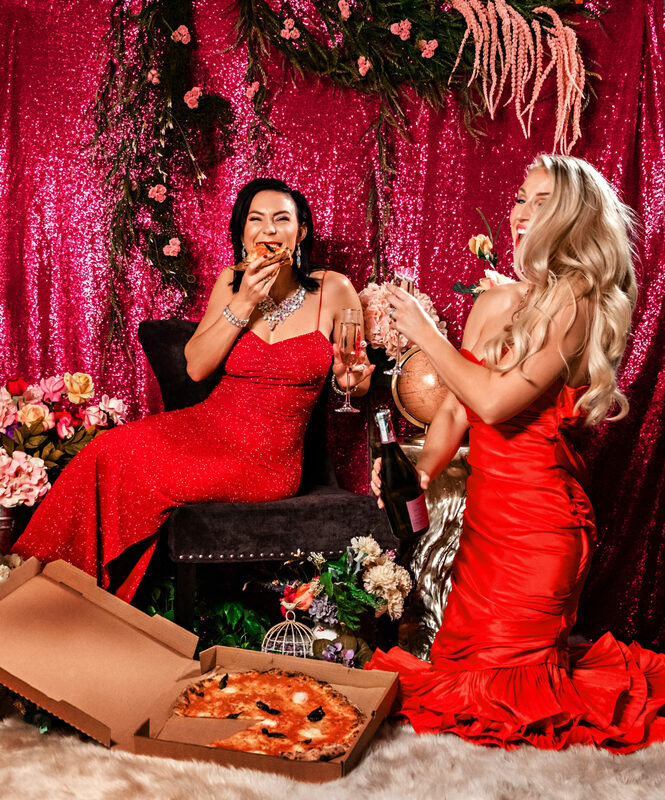 If you have been following me on Instagram or Facebook, then you know that my work wife, Jess, of Happily Hughes and I are hosting a fabulous GALentine’s Day Pizza & Prosecco Party at Anderson Aesthetics at Avalon in Alpharetta. It’s on February 9 from 2-6, and we would LOVE to see any of you fabulous ladies! We have some amazing giveaways from Anderson Aesthetics, including a Scuplsure session & an IPL facial, a Color Bar BFF experience from Kendra Scott, and 3 yummy gift cards from Antico-Pizza Napoletana! In addition to our v cool, v chic, must-attend event, there are LOTS of options for GALentine’s Day parties to honor the women who stand by your side, and, of course, there’s Valentine’s Day for all of you hopeless romantics. So, I decided to put together a little lookbook of some style options for all of your February events! Let me know which is your favorite look in the comments, and let me know if you purchase something–I am gonna want all the photos when you wear it! Loving these Galentine’s Day outfits? Click here now for more fashion favorites! If you click on any of these links, I will receive a small commission, which helps me to run my blog and Instagram and let me create content for you guys, and I am SO grateful for you!